Working safely usually means looking lackluster and uncomfortable, but not today. This Ariat Work FR Men's Coffee Stripe 10013512 Long Sleeve Shirt from Working Person's Store features a professional design, fit, and color. Plus, it meets the requirements for a num ... (see full details) (see specifications) #10013512. Working safely usually means looking lackluster and uncomfortable, but not today. This Ariat Work FR Men's Coffee Stripe 10013512 Long Sleeve Shirt from Working Person's Store features a professional design, fit, and color. Plus, it meets the requirements for a number of safety standards and ratings. This men's long sleeve shirt can keep you protected from fire hazards because it's flame-resistant. It meets the requirements for multiple safety standards, including the National Fire Protection Association's 2112 and 70E standards. Both of these standards are for ensuring employee safety in workplaces where there's the potential for exposure to electric arc flashes. In oil and petrochemical industries, the standards 70E and 2112 require that employees wear flame-resistant work attire that passed independent testing, and this men's button-down shirt does. In addition to passing the standards NFPA 2112 and 70E, the Ariat stripe long sleeve shirt is rated ATPV 8.9. The Arc Thermal Performance Value is a rating that is assigned to flame-resistant clothing. It determines the level of protection the garment, or in this case, the men's flame-resistant shirt can provide. 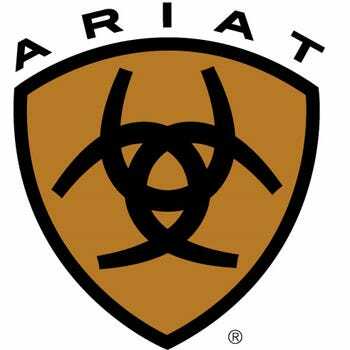 Overall, you can trust this Ariat FR workwear to keep you safe because it has been tested independently for flame-resistance, and it passed all of the requirements. Though this men's flame-resistant shirt is a work garment, it doesn’t look like one. The design comes in a coffee brown color and features a striped checkered design that will bring out the cowboy in you. The men's flame-resistant workwear is also made with a folded collar that buttons down into place. The long sleeves feature cuffed ends, and the front of the shirt is designed with a left open chest pocket. This garment is designed with a button-down design, and it offers a pleasing fit that not only feels great but looks great. Having safety in your place of work won’t ever be dull or drab again if you add this Ariat Work FR Men's Coffee Stripe 10013512 Long Sleeve Shirt to your working wardrobe. Get it here at Working Person’s Store today to get long-lasting protection from flames and satisfaction in your professional appearance. Ariat Work FR Shirts: Men's Coffee Stripe 10013512 Long Sleeve Shirt is being added to your cart.